Cache Creek offers a trail network for mountain biking, running, and hiking only a 10 minute ride from downtown. Less than a 10-minute ride from the elk antler-arched Town Square is Jackson’s most concentrated area of running, biking, and hiking trails: Cache Creek. Cache Creek is the heart of the Greater Snow King Trail System. Park and begin running, hiking, or biking in summer or skate or classic skiing or fat biking in winter. Hagen to Upper Hagen to Ferrins is wonderful on the bike or running. It’s uphill all the way, but is a fairly mellow grade for Jackson. The top of Ferrins is the backside of Snow King Mountain. You can retrace your steps back down to the trailhead or wrap around to the top of Snow King. Descend two-thirds of the front side of Snow King to Sink or Swim, which you can take east back to Hagen and then the trailhead. That’s about six miles round-trip. Extend your run or hike (this option isn’t recommended for mountain bikers as descending Josie’s Ridge trail is annoying—you’re on your brakes all the time) by heading south along Snow King’s summit ridge, also known as Josie’s Ridge. Head down Josie’s until you hit Sink or Swim and then you can use that to loop back east to Snow King, Hagen, and then your car at the Cache Creek trailhead. You can head east from the Cache Creek trailhead too. Most of the trails to the east—Putt Putt, the Sidewalk, the Wiggle—are all intermediate level on a mountain bike. Go ahead and string as many of them together as you have time for. There’s little chance of getting lost. Almost all of them circle back to the main trailhead. The one exception is the Game Creek trail. This is accessed about four miles up the main double-track from the trailhead. Cross a wooden bridge spanning Cache Creek, endure a short but steep climb that mellows to a medium-steep climb, and then you’re at the Cache-Game Divide. If you drop down into Game Creek, you’ll emerge at a trailhead six miles south of downtown, just off Highway 89. Fear not though, you can always retrace your steps, or head out to the highway where there’s a bike path that will bring you back to town. 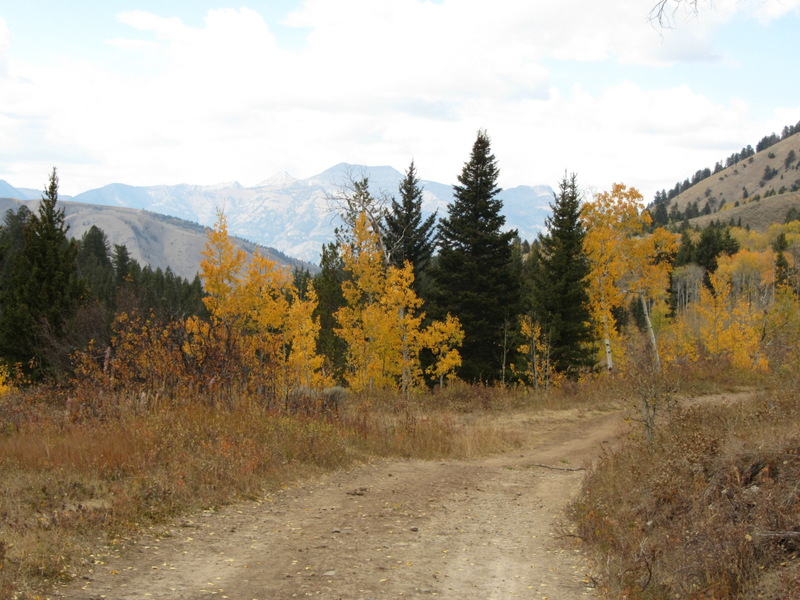 Six miles up Cache Creek, you hit the boundary of the Gros Ventre Wilderness. Bikes are not allowed past this point. Hikers and runners can make it up Cache Peak though, or hike the Gros Ventre Highline trail all the way to Granite Creek. Fair warning: The first 1-2 miles of the main dirt road out of the Cache Creek trailhead is heavily, heavily traffic-ed. It’s one of the most popular places in the valley to walk dogs. Ride very carefully. Hikers, runners, and most of the trails to the east—Putt Putt, the Sidewalk, the Wiggle—are all intermediate level on a mountain bike. The main trailhead is at the end of Cache Creek Drive. Just drive on this road until you no longer can. Cache Creek trails can also be accessed from a small trailhead off Nelson Drive and also, in West Jackson, Wildlife Lane. If you’re just interested in hiking Josie’s Ridge, Wildlife Lane is your starting spot.